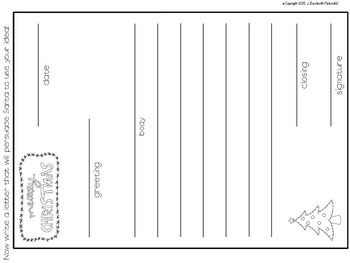 This is a fun Christmas-themed writing activity for primary grades. Santa's reindeer are on strike. 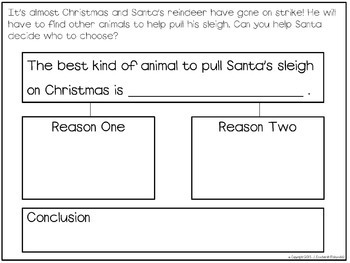 Students will think of another animal that can take their place pulling Santa's sleigh. 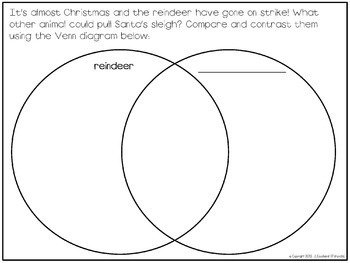 A Venn diagram is included to compare and contrast the two animals as well as a graphic organizer for planning a persuasive writing piece. 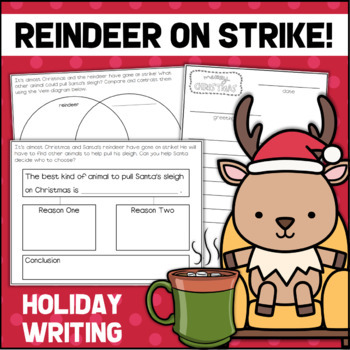 Your students will then write a persuasive letter to Santa using the included letter writing template.